To bridge the gap between the total amount of financial aid for which a family qualifies and the final cost of attending college, ACCESS College Foundation awards “Last-Dollar” Scholarships to qualified high school seniors. This scholarship is renewable for up to four years. Since 1988, the foundation has awarded $9 million in ACCESS “Last-Dollar” Scholarships to students. ACCESS 20th Anniversary Scholarship – For two (2) graduating seniors of any Chesapeake or Suffolk public high schools. ACCESS Beating the Odds Scholarship – For one (1) graduating seniors of a South Hampton Roads high school or of Northampton High School attending a college or university full-time. *Please attach cover sheet and required essay. ACCESS Educational Challenge Fund Scholarship – For a graduating senior of any of the (11) Virginia Beach public high schools. Aimee and Frank Batten, Jr. Scholarship – For a graduating senior of a South Hampton Roads public high school. At Your Best Foundation Scholarship – For a graduating senior of Great Bridge High School in Chesapeake. The Alma and Howard Laderberg Scholarship – For a graduating senior of a South Hampton Roads public high school. Anne B. Shumadine Scholarship – For a graduating senior of South Hampton Roads and Northampton County attending a college or university full-time. Batten Educational Achievement Fund – For a graduating senior of Northampton High School. Birdsong Corporation Scholarship – For a graduating senior of a South Hampton Roads public high school. Bonnie B. Sutton Scholarship - For a female, graduating senior of a South Hampton Roads public high school majoring in business or non-profit management. Brian Christopher Plimpton Memorial Scholarship – For a male, graduating senior of Landstown High School in Virginia Beach. Carolyn and Richard Barry Scholarship – For a graduating senior of a South Hampton Roads public high school. Cathryn and Chris Perry Scholarship – For a graduating senior of a South Hampton Roads public high school. Cheryl L. Jones Scholarship – For a graduating senior of a South Hampton Roads public high school or Northampton County. Chesapeake Bay Wine Classic Foundation Scholarship – For a graduating senior of a South Hampton Roads public high school. Chesapeake Education Association Scholarship – For a graduating senior of a Chesapeake public high school attending a college or university full-time and pursuing a career in education. *Please attach cover sheet and required essay. Community Action Coalition of Virginia (CACOV) – For a graduating senior of any Suffolk public high schools. Compton Family Foundation Scholarship – For a graduating senior of a South Hampton Roads public high school. Cox Communications Virginia Scholarship – For a graduating senior of a South Hampton Roads public high school attending a college/university to study technology. Delta Kappa Gamma Society, Beta Upsilon Chapter – For a graduating female senior of a Norfolk public high school attending a college or university to study education. ECPI University Scholarship – For a graduating senior of a South Hampton Roads public high school attending a accelerate 2-year program or 4-year technology program. *Must complete one summer course each year to remain eligible. Eleanor and Robert Stanton Scholarship – For a graduating senior of a South Hampton Roads public high school. Hampton Roads Community Foundation Scholarship – For a graduating senior of a South Hampton Roads public high school. Harvey L. Lindsay, Jr. Scholarship – For a graduating senior of a South Hampton Roads public high school. Helen Dragas and Lewis Webb Scholarship – For a graduating senior of a South Hampton Roads public high school. Joan P. and Macon F. Brock ACCESS Scholarship – For a graduating senior of a South Hampton Roads public high school or Northampton County attending Longwood University, Old Dominion University, Randolph-Macon College, or Virginia Wesleyan University. Kam Cares Foundation Scholarship – For a graduating senior of Maury High School in Norfolk. KW Brown Ministries ACCESS Scholarship – For a graduating senior of a South Hampton Roads public high school. Lakewood Garden Club Scholarship – For a graduating senior of a South Hampton Roads public school enrolling in a program to study horticulture. *Please attach cover sheet and required essay. Landmark Foundation Scholarship – For a graduating senior of a South Hampton Roads public high school. LaVerne Crown Scholarship – For a graduating senior of any of the (11) Virginia Beach public high schools majoring in the arts – practical, performing, music, or writing. *Please attach cover sheet and required essay. Lilly and Bruce Bradley Scholarship – For a graduating senior of a South Hampton Roads public high school. Linda and Leigh Baltuch Scholarship – For a graduating senior of a South Hampton Roads public high school. Marlene “Micky” Jester Scholarship – For a graduating senior attending Virginia Wesleyan University or Old Dominion University. Nansemond River Charitable Trust Scholarship – For a graduating senior of King's Fork, Lakeland, and Nansemond River High Schools in Suffolk. Norfolk Historical Society Scholarship – For a graduating senior of a Norfolk public high school enrolling in a program to study history or a related field. Norfolk Southern Foundation Scholarship – For a graduating senior of a South Hampton Roads public high school. Norfolk State University Scholarship – For a graduating senior of a South Hampton Roads public high school attending Norfolk State University. Old Dominion University Scholarship – For a graduating senior of a South Hampton Roads public high school attending Old Dominion University. Patricia and Douglas Perry Scholarship – For a graduating senior of a South Hampton Roads public high school. Peggy and Conrad Hall Scholarship – For a graduating senior of a South Hampton Roads public high school. Pru and Louis Ryan Scholarship – For a graduating senior of a South Hampton Roads public high school. Radford University Scholarship – For a graduating senior of a South Hampton Roads public high school attending Radford University. Richard Bennett Trust – For a graduating senior of Nansemond River High School or King's Fork High School in Suffolk. Sandra and Lem Lewis Scholarship – For a graduating senior of a South Hampton Roads public high school with steady work experience in a business setting throughout his/her junior and senior years. 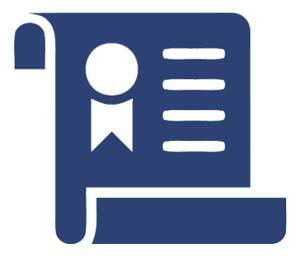 Click here for to download the required Employment Verification Letter. Settle Scholarship – For a graduating African American senior of a South Hampton Roads high school. Starr and Chuck Plimpton Scholarship – For a graduating senior of a South Hampton Roads public high school. Susan and David Goode Scholarship – For a graduating senior of a South Hampton Roads public high school. Susan and John "Dubby" Wynne Scholarship – For a graduating senior of a South Hampton Roads public high school. Thomas E. Robinson Scholarship – For a graduating senior of a South Hampton Roads public high school. TowneBank Foundation Scholarship – For a graduating senior of a South Hampton Roads public high school. University of Virginia Scholarship – For a graduating senior of a South Hampton Roads public high school attending the University of Virginia. Virginia529 Scholarship – For a graduating senior of a South Hampton Roads public high school. Virginia State University Scholarship – For a graduating senior of a South Hampton Roads public high school attending Virginia State University. Virginia Tech Scholarship – For a graduating senior of a South Hampton Roads public high school attending Virginia Tech. Chesapeake Public Schools – Scholarship Hub Coming Soon.